There are many reasons to be worried about the new president and his actions. the crap that is going on makes me wonder just what country we live in!! What has happened to our basic human rights? Are we even the “Land of the Free” anymore? This is getting crazy! 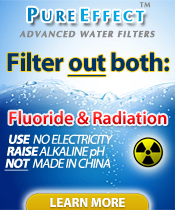 Indiana Water Filters highly recommends that everyone get a high quality home water filter to protect your family against the inevitable water contamination to come. The new U.S. Environmental Protection Agency’s spending freeze on contracts and grants that’s been reported by national news outlets could potentially have big implications in Louisville and across Kentucky and Indiana. While there’s a difference between a spending freeze and spending cuts, it’s hard to know how costly the move could be because EPA wasn’t providing any explanation after the Trump administration instituted a media blackout at the agency, according to the Associated Press. It was also not clear Tuesday afternoon whether the action affects existing grants or contracts or new ones. A spokesman for U.S. Sen. Mitch McConnell, the Senate majority leader, declined to comment other than to say Congress was working on the federal budget. The National Association of Clean Air Agencies said it’s trying to learn more about what the Trump administration did. “If true, this will be horribly disruptive to state and local air pollution control agencies,” said William Becker, executive director of the air association. An EPA database shows what’s at stake – a steady flow of money from the federal government to state agencies, universities, cities and nonprofit groups, with much of that funding used for Louisville and Kentucky’s efforts to comply with federal clean-air and clean-water mandates. Spending in Indiana was for similar purposes. The database shows EPA in the last decade has awarded at least $600 million in more than 400 grants to support Kentucky projects such as helping to improve drinking water systems, academic research, air quality monitoring and natural habitat improvements including projects in Louisville’s Olmsted Parks. The EPA has issued more than 500 Indiana grants over the decade, spending at least $700 million. EPA provides the Louisville Metro Air Pollution Control District with about $760,000 annually for air quality monitoring and the permit program for Louisville’s largest industrial sources of air pollution, agency spokesman Tom Nord said. He declined further comment because of the preliminary nature of the news. Attorney Art Williams, a former state regulator who also formerly ran Louisville’s air pollution district, said he’s not sure that EPA has the authority to block the spending used to meet clean-air mandates. The air monitoring is used to demonstrate whether the city complies with standards for lung-damaging ozone and other pollutants. Among numerous grants from the EPA to the Kentucky Energy and Environment Cabinet was money for hazardous waste management, toxic substances compliance monitoring, water quality management planning, and other programs.